Strong online presence is important for every company. It is very important to choose the right platform to host your website. A little research is good enough to find out which hosting plan fits your needs. Sometimes your website might encounter problems even after choosing a hosting partner. There is no need to think a lot about these issues as they can be easily fixed. Let us have a look at the things to consider before purchasing a hosting provider. It’s good to have a grip on these points so that you can make a good decision on your hosting. 11. Managed or Unmanaged? Which one is Better? Good loading speed increases your website’s value. Users tend to show less interest towards the websites that take too much time to load. Therefore it is necessary to have good loading and navigation speed to drive more traffic to your website. Slow loading speed will also lower your site listing in SERP. Your business may not run well due to the reduction in the number of incoming visitors. Loading speed is very important, and it may affect the amount of time spent by a user on your website. You may lose your business if the running time is too much. To overcome this problem, make sure that the location of the data center of host provider is close to your website users. Make sure that your web host is taking necessary precautions to reduce network latency (delay in navigation from one page to other). 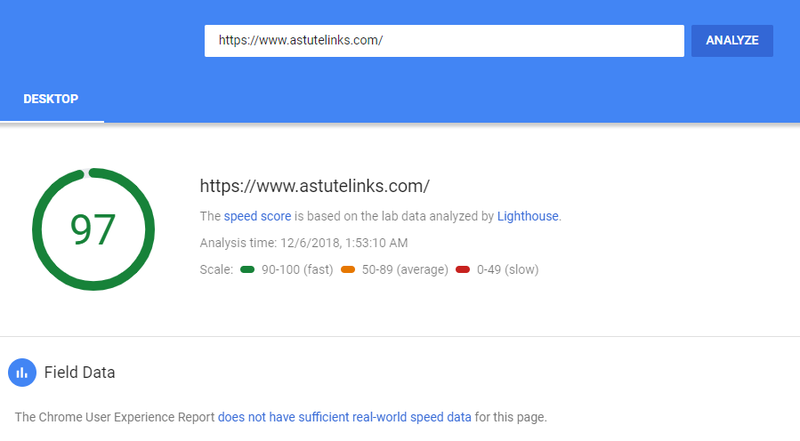 Google rank websites that load faster above the websites that have slow loading speed. Check whether your host is providing content delivery network; it allows users from different parts of the world to access your website. Incoming traffic from various countries will boost up the website speed. Make sure whether your host is able to provide enough security to safeguard website’s data from hackers. Don’t forget to check the security certificate before purchasing a hosting plan because some hosts do provide false security to make money. Your data will be at high risk under such situations. If you are planning to launch an e-commerce business website and using your own technology to manage customer’s payment information, then you have to purchase a hosting that offers SSL certificate. Suppose if you want to get customers information from your website, then it is necessary to maintain a high level of security. Instead of worrying after losing data or the content of your website, it is better to select a web host with huge security. So it’s good to choose hosting partner only after reading all the security terms. Please be very careful while choosing a shared hosting. Dedicated hosting or VPS is the best option if your business is growing. Look whether their security policy can completely protect your site. It is very difficult to restore a hacked website, so check that your hosting provider is updating the security software on time. Good up-time ensures that your website is available to access for most of the time. There is no such host that promises to offer 100% up-time, but you need to grab the best one to escape losses. Site downtime is one of the most common problems that many people face with their website. Site downtime will waste your time, and all your efforts to create a strong online presence for your business will end as a failed attempt. Server downtime will also incur losses especially if your website aim is to convert incoming traffic into profits. Suppose if you are running an e-commerce website, just a few minutes of inactivity may incur huge losses. Therefore good server up-time is very crucial. Site downtime lowers your SERP ranking, but the good thing is that we can fix it easily. Coding error is the main cause of downtime; it may also happen if settings are modified. Just make a call to support a number of your hosting provider and inform about this problem. You will be guided by step by step instructions that helps to bring back your website to working condition quickly. Check if your hosting provider is hosting your website in certified data-centers or not. If that is not the case, then it is time to migrate to a better hosting provider. 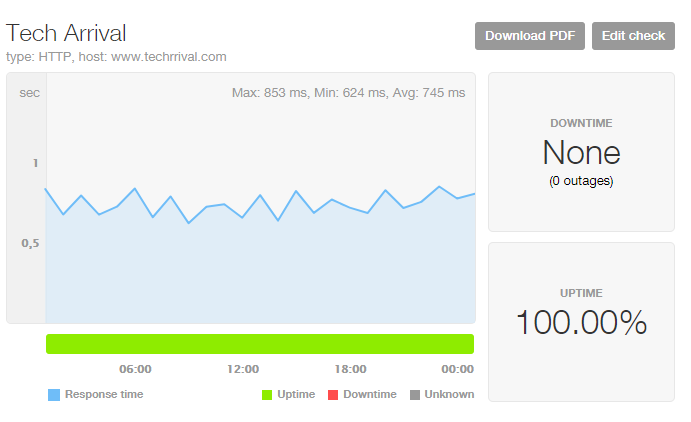 PS: You can use tools like Pingdom to monitor up-time of your server for free. Getting assistance in the early morning hours or during the mid-night as it is essential to protect your website from worst crashes. A business may run into losses even if its website doesn’t work for a few minutes. There should help me immediate assistance to restore your website to working condition in case of inactivity or else it will badly affect the business. Try to host your website where you can get round the clock assistance. Whether you want to ask any questions or need help to resolve issues; it’s very important to connect with the support executive. So it is better to go through reviews and feedback given by other users before purchasing any hosting. Leading web hosting vendors offer good chat email support, and 24/7 support via phone. If you want to check the quality of customer support, just test the response by dialing the customer support number of your host provider. Choosing dedicated tech support with round the clock availability is essential especially if you and the hosting provider are from two different countries. The host should provide sufficient bandwidth to ensure the smooth running of your website. Limited space is one of the major problems that may arise with shared hosting. Choose a hosting plan that provides you with sufficient bandwidth to manage your website. Initially, you may require less bandwidth to run a website, but it is very important to upgrade the bandwidth if the incoming traffic increases. Overloading may result in downtime making your website unresponsive. So make sure that your hosting company gives enough space for growth in case of expansion. Choosing a hosting plan with unlimited bandwidth is good to get rid of costly server downtimes. Prefer free web hosting if and only if you are a beginner. Don’t compromise on additional features because you have to attract more visitors towards your site. Check whether your web hosting provider has given scope to install PHP scripts or any other additional plugins that your website may require. Verify the amount of bandwidth and disk space allotted to your hosting plan. It helps to upgrade your plan when these things are about to exhaust. Don’t forget to keep an eye on your future needs before picking a hosting company. Take your own time, go through all the terms and conditions, check all the limitations before choosing a hosting partner. People often face many issues with low priced hosting plans. You should consider not only cost but also check the quality of hosting to escape issues that may come in future. Many people will compare the prices of different hosting providers before finalizing the right plan for their needs. You might feel wrong about your decision when you start facing issues with the low-cost host. Please inspect all pros and cons before purchasing a cheap hosting. Don’t dare to compromise on speed and storage capacity. Successful running of any website also depends upon the location of the server. Server and web host must be located in the same region or else it might affect your business. So you should not forget to check the hosting location if you are planning to purchase a webs host for your business website. You are advised not to prefer a web host who refuses to reveal the server location. It would be an added advantage in the case of “customer support” when you purchase hosting services from a country that is located in your country. It is very important to link your domain name with an email to receive feedback, support requests. 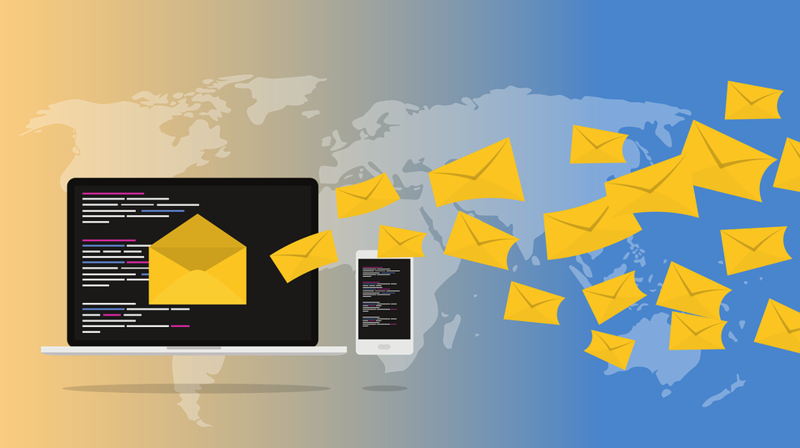 Prefer a host that offers email hosting for the primary email of your website. Maintenance issue is the major concern that restricts you from accessing the inbox. You will be able to send a huge number of files and emails through a good web hosting. If you are unable to send emails, then the email servers of your hosting company are not updated. Contact support team if any emails are missing from your inbox. Every hosting has certain limitations; you need to afford extra changes for going beyond these restrictions. For example, few web hosts don’t allow you to upgrade or change the existing plan which may halt your business progress. 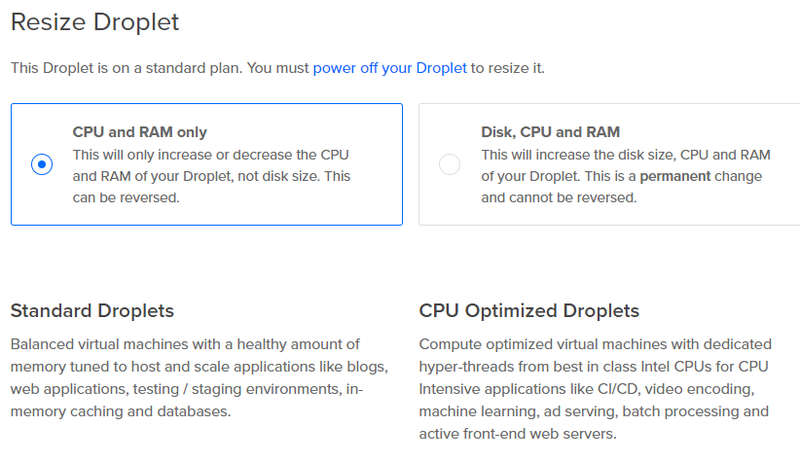 Some hosting providers charge more while some others never encourage upgrades. Therefore you must concentrate on the ability to upgrade to make your business run in full pace without any breaks. Don’t forget to check features and compare different hosting packages before making a final decision. This is a very important aspect that shouldn’t be ignored before choosing a hosting partner. In unmanaged hosting, you have to keep the website secure, update it regularly on your own. In this case, you won’t get any maintenance support as you will just buy the hosting and upload your domain. While coming to managed hosting, your host offers immediate assistance for every issue. If you can manage things on your own and looking to save some money, unmanaged hosting is the best option or else go ahead with a managed plan for automated monitoring. It is very tough to configure your website for beginners manually, so a check whether the hosting vendor is providing a control panel to configure or for managing your website. These are a few common things that you have to consider if you are planning to purchase a good hosting for your website. Loading speed, customer support, security level, the privacy of the provider, scalability level in order to meet future needs are the key factors that have to be considered before purchasing a hosting. Apart from the points that we have mentioned here, we advise you to go through the feedback of hosting vendors given by your friends or people with whom you are connected on social network platforms. Doing this will help you pick the right host for your website.